Ever wonder what it would be like to be blind? Get a chance to open your eyes with their “dark” condition at a special dinner event called “Dinner in the Dark” by Zoomanity Group. 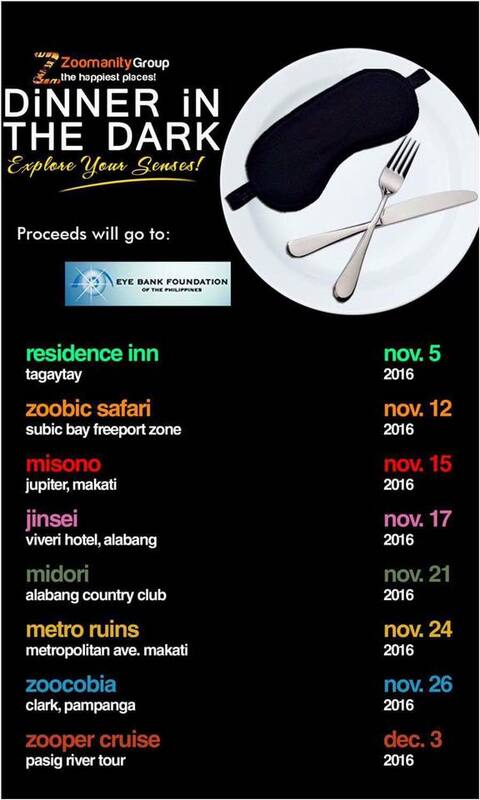 This great cause will give you a unique experience of dining in total darkness and understand how it is to be blind. 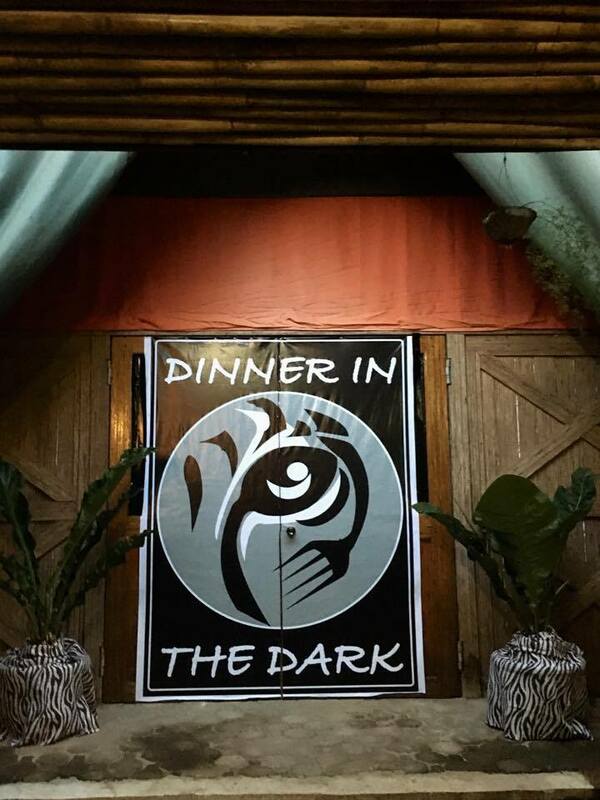 Zoomanity Group, one of the leading companies in the park industry, will host series of “Dinner in the Dark” for the benefit of the Eye Bank Foundation of the Philippines. This exceptional event will create awareness amongst us what it is like to lose our sense of sight and appreciate it even more. Guests will have a 30-minute orientation before the dinner which will be held in different Zoomanity parks and restaurant. During the dinner, the participants’ sense of sight will be totally diminished then their other senses will take over and will be heightened. Wonderful scents and sounds, and beautiful music, will be expected as well. For tickets and more information please contact the Zoomanity Group at (02)8899824-28, (02)8957142, 09158904728 or email zoomanityg@gmail.com. I heard this before , It is a quite Unique dinner ever . Having the meal while been blinded , interesting . i heard this from my colleague, it have one in KL right if not mistaken? she said such a great experience, can really understood those blid people feeling. We have this in Malaysia too! I did not dine in the dark but I did try a few hours being in complete darkness to feel how blink people live their life! It's a really great experience! heard about this, but never tried. will definitely try doing one! I wonder how it feels like. Any detailed experience? Sounds so cool! I've never experienced this before but definitely would like to try!